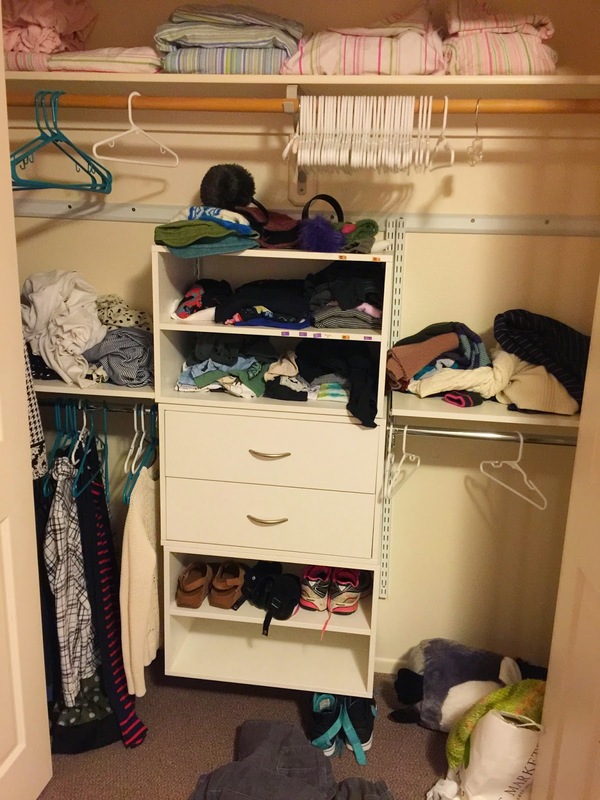 The above photo represents the current closet of the 13-year-old. She is growing so fast nothing fits or can be hung up before she outgrows it. Three years ago a different story. 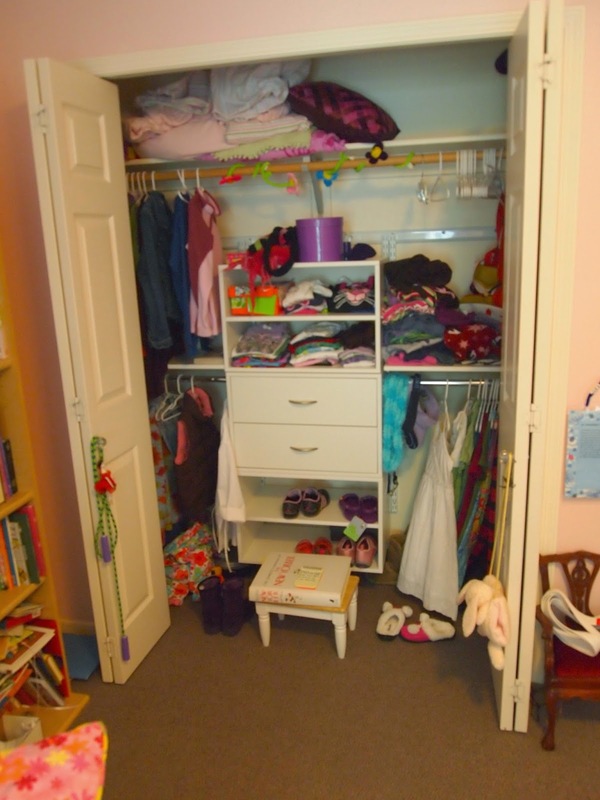 This photo from 2011 shows an orderly closet, perhaps because LSS was more involved.